Transport or transportation is the movement of people and goods from one place to another. The term is derived from the Latin trans ("across") and portare ("to carry"). The development of transport vehicles has had an incredible impact on the expansion and development of human society. Today more than ever before, people rely on various means of rapid transportation to accommodate their busy lives. We rely on transport vehicles to run businesses and obtain raw materials for industry. Also, we have expanded the distances of travel for worship, work, recreation, and vacationing. The transport of goods and other materials have aided in building relationships among cultures as well. Industries that provide equipment, means of transport, and services for the transport of goods or people make up a broad and important sector of most national economies. They are collectively referred to as transport industries. The field of transport has several aspects; loosely they can be divided into a triad of infrastructure, vehicles, and operations. Infrastructure includes the transport networks (roads, railways, airways, waterways, canals, pipelines, and so forth) that are used, as well as the nodes or terminals (such as airports, railway stations, bus stations and seaports). Vehicles generally utilize the networks as guidelines in transport. They include automobiles, bicycles, buses, trains, and aircraft. Business operations deal with the way vehicles are operated on the network and the procedures set for this purpose, including the legal environment (laws, codes, regulations, and so forth). Policies, such as how to finance the system (for example, the use of tolls or gasoline taxes) may be considered part of the operations as well. Broadly speaking, the design of networks falls under the domain of civil engineering and urban planning. The design of vehicles falls under mechanical engineering and specialized subfields such as nautical engineering and aerospace engineering. The operations are usually specialized, though they might appropriately belong to operations research or systems engineering. Modes of transport are combinations of networks, vehicles, and operations, and include walking, the road transport system, rail transport, ship transport and modern aviation. Non-human, animal-powered transport is a broad category of the human use of non-human working animals (also known as "beasts of burden") for the movement of people and goods. Humans may ride some of the larger of these animals directly, use them as pack animals for carrying goods, or harness them, singly or in teams, to pull (or haul) sleds or wheeled vehicles. Air transport involves moving peoples or materials via aircraft. Rail transport is the movement of goods or people along railroads or railways. Road transport utilizes the land cover to move materials by automobile. Ship transport is the process of moving goods or materials by barge, boat, sail, or ship across a sea, ocean, channel, or lake. Cable transport involves the movement of goods or peoples with the use of electrical cables. Conveyor transport a mode of transport utilizing a conveyor belt-type of structure, including escalators and moving sidewalks. Human-powered transport is movement of people or goods by sheer human muscle. The bicycle is a human-powered machine. Hybrid transport involves transforming traditional forms of transport into sustainable forms by harnessing energy from the sun or tapping into other forms of renewable energy. Space transport involves specialized aircraft that can sustain heights above the Earth's atmosphere and into outer space for the movement of people, machines, or other materials. Sustainable transportation involves forms of transport that utilize renewable sources of energy and that do not impede on future needs. Transport on other planets involves the use to modern technology to assist in space exploration by shuttling machines and other materials to parts of the galaxy. Proposed future transport involves forms of transport yet to be developed, such as flying cars and breaking speeds faster than the speed of light. A fixed-wing aircraft, commonly called “airplane” or “aeroplane,” is a heavier-than-air craft where movement of the wings in relation to the aircraft is not used to generate lift. The term is used to distinguish from rotary-wing aircraft, where the movement of the lift surfaces relative to the aircraft generates lift (also known as a helicopter). The current term also embraces aircraft with folding wings that are fold when on the ground. This is usually to ease storage or facilitate transport on, for example, a vehicle trailer or the powered lift connecting the hangar deck of an aircraft carrier to its flight deck. It also embraces aircraft, such as the General Dynamics F-111, Grumman F-14 Tomcat and the Panavia Tornado, which can vary the sweep angle of their wings during flight. These aircraft are termed "variable geometry" aircraft. When the wings of these aircraft are fully swept, usually for high speed cruise, the trailing edges of their wings are adjacent to the leading edges of their tailplanes, giving an impression of a single delta wing if viewed in plan. There are also rare examples of aircraft which can vary the angle of incidence of their wings in flight, which are also considered to be "fixed-wing." Two necessities for all fixed-wing aircraft (as well as rotary-wing aircraft) are air flow over the wings for lifting of the aircraft and an open area for landing. The majority of aircraft however, also need an airport with the infrastructure to receive maintenance, restocking, refueling and for the loading and unloading of crew, cargo and/or passengers. While the vast majority of aircraft ascend and descend on land, though some are capable of take-off and landing on ice, snow and calm water. The aircraft is the second-fastest method of transport, after the rocket. Commercial jet aircraft can reach up to 875 kilometers per hour (550 miles per hour). Single-engine aircraft are capable of reaching 175 kilometers per hour (110 miles per hour) or more at cruise speed. Supersonic aircraft (military, research and a few private aircraft) can reach speeds faster than sound. The record is currently held by the SR-71 Blackbird reconnaissance aircraft with a speed of 3,529.56 kilometers per hour (2,193.17 miles per hour; 1,905.81 knots). Rail transport is the transport of passengers and goods along railways or railroads. A typical railway (or railroad) track consists of two parallel steel (or in older networks, iron) rails, generally anchored perpendicular to beams (termed “sleepers” or “ties”) of timber, concrete, or steel to maintain a consistent distance apart, or gauge. The rails and perpendicular beams are usually then placed on a foundation made of concrete or compressed soil and gravel in a bed of ballast to prevent the track from buckling, or bending out of its original configuration, as the ground settles over time under the weight of the vehicles passing above. The vehicles traveling on the rails are arranged in a train, or a series of individual powered or unpowered vehicles linked together, displaying markers. These vehicles referred to, in general, as “cars,” “carriages” or “wagons,” move with much less friction than do rubber tires on a paved road, and the locomotive that pulls the train tends to use energy far more efficiently as a result. 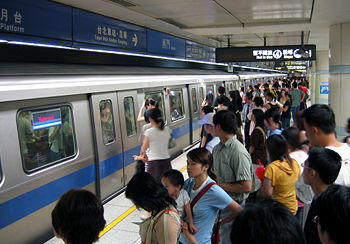 Subways, or metros, are underground railways generally confined to a metropolitan area. They are generally powered by electricity using a third rail and can be contained partially or fully underground. Light rail transit, a modern trolley or street-car system, has become more popular as a mode of public transport in the late twentieth and early twenty-first centuries in multiple large cities throughout the world. Light rail systems offer the same benefits as a subway system but can be constructed at a generally lower cost. The guideway (permanent way) usually consists of conventional rail tracks, but might also be monorail or maglev. Propulsion for the train is provided by a separate locomotive, or from individual motors in self-propelled multiple units. Most trains are powered by diesel engines or by electricity supplied by trackside systems. Historically, the steam engine was the dominant form of locomotive power through the mid-twentieth century, but other sources of power (such as horses, rope (or wire), gravity, pneumatics, or gas turbines) are also possible. An automobile is a wheeled passenger vehicle that carries its own motor. Different types of automobiles include cars, buses, trucks, and vans. Some include motorcycles in the category, but cars are the most typical automobiles. As of 2002, there were 590 million passenger cars worldwide, giving roughly one car for every ten people. 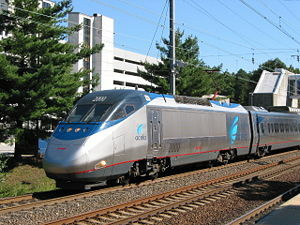 And of these passenger cars, 170 million reside in the United States, making roughly one car for every two people. The automobile was thought of as an environmental improvement over horses when it was first introduced in the 1890s. Before its introduction, in New York City alone, more than 1,800 tons of manure had to be removed from the streets daily, although the manure was also used as natural fertilizer for crops and to build top soil. In 2006, the automobile is recognized as one of the primary sources of worldwide air pollution and a cause of substantial noise pollution and adverse health effects. A watercraft is a vehicle designed to float on and move across (or through) water for pleasure, physical exercise (in the case of many small boats), transporting people and/or goods, or military missions. The common need for buoyancy unites all watercraft, and makes each one's hull a dominant aspect of its construction, maintenance, and appearance. Most watercraft would be described as either ships or boats. Although nearly all ships are larger than nearly all boats, the distinction between those two categories is not one of size per se. A rule of thumb says "a boat can fit on a ship, but a ship can't fit on a boat," and a ship usually has sufficient size to carry its own boats, such as lifeboats, dinghies, or runabouts. Often local law and regulation will define the exact size (or the number of masts) that distinguishes a ship from a boat. Traditionally submarines were called "boats," perhaps reflecting their cramped conditions, as small size reduces the need for power as well as the need to surface or snorkel for the sufficient air supply that running diesel engines require. In contrast, nuclear-powered submarines' reactors supply abundant power without consuming air, and such craft are large, much roomier, and classified as ships. Another definition says a ship is any floating craft that transports cargo for the purpose of earning revenue. In that context, passenger ships transport "supercargo," another name for passengers or persons not working on board. However, neither fishing boats nor ferries are considered ships, though both carry cargo, whether through their catch of the day or passengers, and for that matter, lifeboats. The term watercraft is seldom used to describe any specific individual object; rather, the term serves to unify the category that ranges from the smallest boats to the largest ships, and also includes the diverse watercraft for which some term even more specific than ship or boat (e.g., canoe, kayak, raft, barge, jet ski). Even so, some of these craft would be considered questionable as examples of boats. Ship transport is the process of moving people, goods, and other materials by barge, boat, ship or sailboat over a sea, ocean, lake, canal or river. This is frequently undertaken for commerce, recreation or military purposes. A hybrid of ship transport and road transport is the historic horse-drawn boat. Horse-powered boats involved horses on deck providing power. The first man-made craft were probably types of canoes cut out from tree trunks. The colonization of Australia by Indigenous Australians provides indirect but conclusive evidence of the latest date for the invention of ocean-going craft. Historically, land bridges linked Southeast Asia through most of the Malay Archipelago but a strait had to be crossed to arrive at New Guinea, which was then linked to Australia. Ocean-going craft were required for colonization. Early sea transport was accomplished with ships that were either rowed or used the wind for propulsion, and often, in earlier times with smaller vessels, a combination of the two. Ship transport has also frequently been used as a mechanism for conducting warfare. Military use of the seas and waterways is covered in greater detail under navy. In the 1800s the first steamships were developed, using a steam engine to drive a paddle wheel or propeller to move the ship. The steam was produced using wood or coal. Now most ships have an engine using a slightly refined type of petroleum called bunker fuel. Some specialized ships, such as submarines, use nuclear power to produce the steam. Recreational or educational craft still use wind power, while some smaller craft use internal combustion engines to drive one or more propellers, or in the case of jet boats, an inboard water jet. In shallow draft areas like the Everglades, some craft, such as the hovercraft, are propelled by large pusher-prop fans. Although relatively slow, modern sea transport is a highly effective method of transporting large quantities of non-perishable goods. Transport by water is significantly less costly than transport by air for trans-continental shipping. In the context of sea transport, a road network is termed an anchorage. Transport and communication are both substitutes and complements. Though it might be possible that sufficiently advanced communication could substitute for transport, one could telegraph, telephone, fax, or e-mail a customer rather than visiting them in person, it has been found that those modes of communication in fact generate more total interactions, including interpersonal interactions. The growth in transport would be impossible without communication, which is vital for advanced transportation systems, from railroads which want to run trains in two directions on a single track, to air traffic control which requires knowing the location of aircraft in the sky. Thus, it has been found that the increase of one generally leads to more of the other. The first Europeans who came to the New World brought with them a culture of transportation centered on the wheel. Native Americans had developed differently, and moved through their country by means of canoes, kayaks, umiaks, coracles, and other water-borne vehicles, constructed from various types of bark, hide, bone, wood, and other materials; the snowshoe, toboggan and sled were also essential during the winter conditions that prevailed throughout the northern half of the continent for much of the year. Europeans quickly adopted all of these technologies themselves, and therefore, were able to travel to the northern interior of Canada via the many waterways that branched out from the St. Lawrence River and from the Hudson Bay. There is a well-known relationship between the density of development, and types of transportation. Intensity of development is often measured by area of floor area ratio (FAR), or the ratio of usable floorspace to area of land. As a rule of thumb, FARs of 1.5 or less are well suited to automobiles; those of six and above are well suited to trains. The range of densities from about two to about four is not well served by conventional public or private transport. Many cities have grown into these densities, and are suffering traffic problems as a result. Land uses support activities, and as those activities are spatially separated, people need transportation to go from one to the other, from home to work to shop back to home, for instance. Transport is a "derived demand," in that it is not a necessary but for the activities pursued at the ends of trips. Good land use keeps common activities close (e.g. housing and food shopping), and places higher-density development closer to transportation lines and hubs. Poor land use concentrates activities, such as jobs, far from other destinations, such as housing and shopping. There are economies of agglomeration. Beyond transportation, some land uses are more efficient when clustered. Transportation facilities consume land, and in cities, pavement (devoted to streets and parking) can easily exceed 20 percent of the total land use. An efficient transport system can reduce land waste. Because of the much higher densities of people and activities, environmental, economic, public health, social and quality of life considerations and constraints are important in cities. Urban transport has been led by professional transport planners and traffic experts who have made use of the same forecasting and response tools that they have used to good effect in other transport sectors. This has led in most cities to a substantial overbuilding of the road and supporting infrastructure, which has maximized throughput in terms of the numbers of vehicles and the speeds with which they pass through and move around in the built-up areas. Too much infrastructure and too much smoothing for maximum vehicle throughput means that in many cities there is too much traffic and many, if not all, of the negative impacts that come with it. It is only in recent years that traditional practices have started to be questioned in many places. As a result of new types of analysis, which bring in a much broader range of skills than those traditionally relied upon, such areas as environmental impact analysis and public health are encouraging sociologists and economists to increasingly question the viability of old mobility solutions. European cities are taking the lead in this transition. Transport is a major use of energy, and burns most of the world's petroleum. Transportation accounts for two-thirds of all U.S. petroleum consumption. The transportation sector generates 82 percent of carbon monoxide, 56 percent of nitrous oxide (NOx) emissions, and over one-quarter of total U.S. greenhouse gas emissions. Hydrocarbon fuels also produce carbon dioxide, another greenhouse gas widely thought to be the chief cause of global climate change. Petroleum-powered engines, especially inefficient ones, create air pollution, including nitrous oxides and particulates, like soot. Although vehicles in developed countries have been releasing cleaner emissions because of environmental regulations, an increase in the number of vehicles and increased use of vehicles in these countries does not add to the solution. Toxic runoff from roads and parking lots can also pollute water supplies and aquatic ecosystems. Low-pollution fuel vehicles can reduce pollution. Low-pollution fuels may have reduced carbon content, thereby contributing less in the way of carbon dioxide emissions, and generally have reduced sulfur, as sulfur exhaust is a cause of acid rain. The most popular low-pollution fuels at this time are biofuels like gasoline-ethanol blends and biodiesel. Hydrogen is an even lower pollution fuel that releases no carbon dioxide emission, but producing and storing it is currently not economically feasible. Another strategy in reducing emission pollution is to make vehicles more efficient, which reduces pollution and waste by reducing the energy use. Electric vehicles use efficient electric motors, but their range is limited by either the extent of the electric transmission system or by the storage capacity of batteries. Electrified public transport generally uses overhead wires or third rails to transmit electricity to vehicles, and is used for both rail and bus transport. Battery electric vehicles store their electric fuel onboard in a battery pack. Fuel cells are also a way of generating efficient energy, which may eventually be two to five times as efficient as the internal combustion engines currently used in most vehicles. Another effective method is to streamline ground vehicles, which spend up to 75 percent of their energy on air resistance, and to reduce their weight. Regenerative braking is possible in all electric vehicles and recaptures the energy normally lost to braking; it is becoming common in rail vehicles. In internal combustion automobiles and buses, regenerative braking is not possible, unless electric vehicle components are also a part of the powertrain, otherwise known as hybrid electric vehicles. Shifting travel from automobiles to well-utilized public transport can reduce energy consumption and traffic congestion. Walking and bicycling instead of traveling by motorized means also reduces the consumption of fossil fuels. While the use of these two modes generally declines as a given area becomes wealthier, there are some countries (including Denmark, Netherlands, Japan and parts of Germany, Finland and Belgium) where bicycling comprises a significant share of trips. Some cities with particularly high modal shares of cycling are Oulu (25 percent), Copenhagen (33 percent) and Groningen (50 percent). A number of other cities, including London, Paris, New York, Sydney, Bogotá, Chicago and San Francisco are creating networks of bicycle lanes and bicycle paths, but the value of such devices for utility cycling is highly controversial. There is also a growing movement of drivers who practice ways to increase their MPG and save fuel through practicing effective driving techniques. They are often referred to as “hypermilers.” Hypermilers have broken records of fuel efficiency, averaging 109 miles per gallon driving a hybrid electric car. In non-hybrid vehicles these techniques are also beneficial. Hypermiler Wanye Gerdes can get 59 miles per gallon in a mid-sized car and 30 MPG in a small sport utility vehicle. Transport research facilities are mainly attached to universities or are steered by the state. In most countries, although not in France or Spain, one can see how laboratories are brought into PPP-operation, where industry takes over part of the share. ↑ Future Transport, Transporteon.com. Retrieved August 9, 2007. 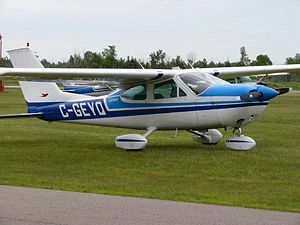 ↑ “Fixed Wing Aircraft Facts and How Aircraft Fly,” AviationExplorer.com. Retrieved August 9, 2007. ↑ Fédération Aéronautique Internationale, General Aviation World Records: List of records established by the 'Lockheed SR-71 "Blackbird"' Retrieved August 9, 2007. ↑ Worldmapper: Passenger Cars. Retrieved August 9, 2007. ↑ Sid Perkins, “When Horses Really Walked on Water,” The Chronicle of the Horse (May 21, 1999). Retrieved August 9, 2007. ↑ Virtual Vault: Transportation and Maps, Library and Archives Canada. Retrieved August 9, 2007. ↑ 7.0 7.1 Environmental and Energy Study Institute, National Plug-in Partner Campaign. Retrieved August 9, 2007. ↑ Dennis Gaffney, “This Guy Can Get 59 MPG in a Plain Old Accord. Beat That, Punk,” Mother Jones (January 1, 2007). Retrieved August 9, 2007. Kane, Anthony R. “Transportation in the new millennium.” Transportation Quarterly 54 (2000): 5-9. “The Future of Transportation.” Scientific American 277 (1997): 54-137. This page was last modified on 17 September 2015, at 15:59.